Lachrimatory are a band from Brazil that combines the funeral, atmospheric and melodic styles of doom/death metal together and this is a review of their 2011 album "Transient" which was re-issued by Solitude Productions in the year of 2015. A very dark and atmospheric sounding keyboard starts off the album along with a variety of many different sounding keys along with some violins and after awhile clean playing is added into certain sections of the recording which leads up to more of a slow and heavy doom metal direction that also utilizes a great amount of death metal growls. All of the tracks are very long and epic in length and the songs also bring in a great mixture of both clean and heavy parts and some of the screams also have a black metal feeling to them and you can also hear a lot of melody in both the riffs and guitar leads along with some sections also adding in a small amount of spoken word parts at times and all of the musical instruments have a very powerful sound to them and as the album progresses a small amount of clean singing can be heard on some songs which all stick to a very slow pace from beginning to end of the recording. Lachrimatory take the genre of funeral doom and mixes it with atmospheric doom/death metal to create a sound of their own, the production sounds very professional while the lyrics cover depression, loss, despair and death themes. In my opinion Lachrimatory are a very great sounding mixture of funeral doom and atmospheric doom/death metal and if you are a fan of those musical genres, you should check out this band. RECOMMENDED TRACKS INCLUDE "Twilight" and "Void". 8 out of 10. 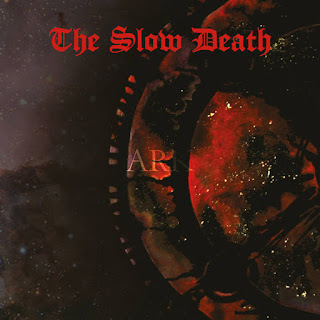 The Slow Death are a band from Australia that plays a mixture of funeral doom and death metal and this is a review of their 2015 album "Ark" which will be released in March by Chaos Records. A very dark, melodic and depressive funeral doom metal sound starts off the album which also introduces solos and leads to the recording which also incorporate a great amount of melody and after awhile clean playing can be heard in certain sections of the recording and when vocals are added into the music they are operatic female vocals. Synths at times give the music a progressive rock feeling and the music also brings in a great amount of deep death metal growls along with a small amount of black metal screams while clean singing is still a very huge part of the recording and one of the tracks also brings in a brief use of war samples and at times there are also some male clean singing vocals being utilized. Most of the tracks are very long and epic in length and some of the later tracks also bring in a small amount of acoustic guitars which adds more of a progressive feeling to the bands musical style and they also bring in a brief ambient instrumental before returning back to a heavier direction on the remaining tracks. The Slow Death plays a style of funeral doom that is very dark, melodic, melancholic yet very heavy sounding and also mixes in a great amount of death metal influences and a touch of black metal to create a sound of their own, the production sounds very professional while the lyrics cover death, disease, suffering and agony themes. In my opinion The Slow Death are a very great sounding funeral doom/death metal band and if you are a fan of this genre, you should check out this album. RECOMMENDED TRACKS INCLUDE "The Chosen Ones" and "Adrift". 8 out of 10. One Eon was released in CD & digital formats just two weeks ago. So lately we have been trying to find different ways to promote the album. At the same time we are also preparing limited edition picture vinyl release of the album. Last week we received the inserts (lyric sheet & poster) for it and also approved the vinyl test prints. After the recording & mixing sessions we have been back at the rehearsal room to prepare our future live sets. As a result of that, we already did one short weekend tour in Lithuania and Latvia in December 2014. I think that One Eon is heavier, darker and more doomy than our previous album Nil. I think that this time we managed to find overall sound that is very natural 0xíst sound. This might be very much due to the fact that we did the mix by ourselves, which ruled out a lot of studio wizardry and brought the whole thing closer to how we sound live. 3.This is the first album to be released in 3 years, can you tell us a little bit more about what has been going on during that time span? We went through some lineup changes. After Nil we lost two band members and got two new members in. It took a while to write all the tracks that ended up on the album. We also left some stuff unrecorded, just like we had done with Nil. Those tracks didn’t either feel good to play, or just didn’t find their place on the album. I think that first One Eon tracks were written and rehearsed in 2012 and we had the whole thing ready about 2 years later. We also did our first central European tour in 2013 and some touring in the northern parts of the Europe. The latest thing that happened was that Sameli, who played bass on One Eon, left 0xíst in the summer of 2014. Since then we have our original bass player Ossi back in the band. Many of our lyrics are about self-study & -development. As dark as they may seem, they also reflect the joy and full enjoyment of life and about fulfilling it the way how we see fit to ourselves. Music, lyrics and life is about constant development - sometimes for good, sometimes for worse. The key is in learning, making conclusions & actions, instead of surrendering and letting yourself to become phlegmatic and ignorant to necessary change & development. 5.I know that the bands name is pronounced 'zero exist', how does it fit in with the musical style you play? It is very powerful title, just as our music is powerful. As much as number 0 symbolize nothingness, it also symbolizes eternity and allness. Our band name describes a state in which either all or nothing exist. I see it as an inner mental state, which you either value and maintain, or let the flame die out and become nothing. Lithuania has been my favorite so far, but we have had good ones in Belgium, France, Germany and Finland as well. I guess the show is good when it shows who we are musically, covers different eras of the band and gives as much enjoyment to the crowd as it gives to ourselves. We have been booking some European dates for spring 2015. First of all we’ll do a record release show in our hometown Riihimäki on 6th of March. In May we’ll go on the road and do couple of gigs in Poland, Romania, Slovakia & perhaps few more countries if we get lucky. We have been talking about doing another short tour in western parts of Europe later this year, or perhaps in early 2016. 8.The new album was released on Death Shrine Offerings, can you tell us a little bit more about this label? I came up with that title & idea for label through working with my death metal band Cynabare Urne. We did send out some label promos of One Eon, but at the same time we also became more and more fascinated about doing the whole thing on our own. The reality seems to be that most of the physical copies of our releases that get sold, are being sold at our shows. So why bother someone else with it, or why would anyone even want to get involved? Most of the offers that we got from labels were only for digital release. I guess that makes sense as more and more people seem to be happy with streaming music instead of purchasing it. However, this album was produced to become a vinyl album and a physical release with printed lyrics & graphics. There was no way of going around it. 9.On a worldwide level how has the feedback been to the newer music by fans of dark and doom metal? We are getting good reviews and feedback from all over the globe. There are people who seem to think that it is our strongest release so far, but there are also those who might have expected something different. One interesting thing is that each of One Eon tracks has been picked up by someone as their favorite tune of the album. We can see through our Bandcamp & last fm page that there has been a peak in the streaming numbers, so I guess that people are checking the album out. Juhani just released a new album with Apocryphal Voice. 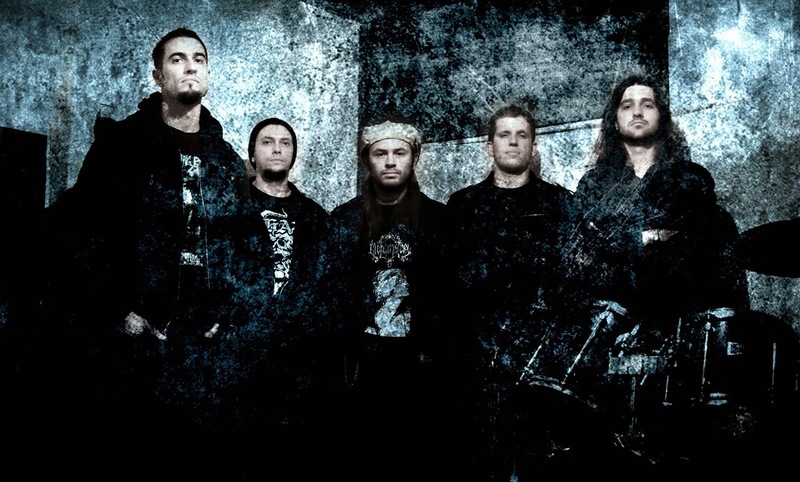 Saattue is working on finishing the third album and Cynabare Urne is working on the first release of the band. Mikael is active in a 50’ies rockabilly band Mr. Black & 5000 Cadillacs and he recently became the drummer of old Finnish thrash metal band National Napalm Syndicate. I can’t see any other direction than keeping it dark and heavy. Naturally we’ll have to keep it interesting & motivating to ourselves, but right now I have no idea of what will it be exactly. That is quite a wide range. We listen to a lot of things from Pink Floyd to Bathory and from Fields of the Nephilim to Slayer. Personally, my all time favourites are Celtic Frost and Fields of the Nephilim. I will also mention Triptykon and Bethlehem, when I’m “guiding” people into the Dark Metal path that we are journeying on. Recently I’ve been reading about John Dee and gone through some hermetic literature. Traveling is on top of my interest list. I try to visit all sort of dark, mystical & historic places on my trips & vacations. 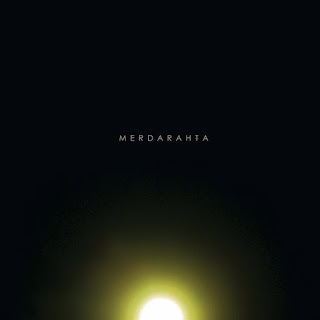 Canada's Merdarahta have returned with a new album that continues the dark ambient, drone, experimental, harsh noise, doom metal and sludge mixture of previous recordings and this is a review of their self released 2015 album "As The Dark Clouds Swept Away We Could See The Sunset". Dark ambient drones start off the album along with some voices in the background that gives the music more of a ritualistic feeling and after awhile harsh noises become a part of the music and on the second track the music starts to get more heavier with a sludge/doom metal sound while still incorporating the experimental elements. Vocals when they are added into the music are high pitched screams and all of the musical instruments have a very powerful sound to them along with a small amount of whispers being added into certain sections of the recording and some of the other tracks go for more of a drone/experimental direction while some of the other songs remain true to a sludge/doom metal direction and also bring in melodic riffing at times and the last track also brings in a small amount of clean singing. Merdarahta creates another recording that still has the heaviness of sludge and doom metal while still also being very ritualistic and experimental at the same time, the production sounds very dark, raw and heavy while the lyrics cover dark and depressive themes. In my opinion this is another great sounding recording from Merdarahta and if you are a fan of dark ambient, drone, experimental, harsh noise, doom metal and sludge, you should check out this album. RECOMMENDED TRACKS INCLUDE "The Dark Clouds" and "Poverty Will Spread". 8 out of 10. Aires & Rui P. Andrade are 2 artist's that have been featured before in this zine and on this recording continue their mixture of noise, experimental, drone, ambient, electronic field recordings and shoegaze and this is a review of their 2015 cassette "Panico_Ambiente" which was released by Colectivo Casa Amerela. Harsh noises and power electronics start off the cassette and after awhile the music gets more experimental and adds in soundscapes which also gives the recording more of an atmospheric feeling and both of the tracks are very long and epic in length and after awhile field recordings are mixed in with the harsh noises. All of the music on the recording is instrumental and as the cassette progresses elements of ambient and shoegaze are added onto the recording but done in more of a darker and less mainstream approach to those genres and at times the music calms down a bit while there still is a great amount of harsh and loud noises and on the second track the more ambient side really starts to show. Aires & Rui P. Andrade continue the experimental harsh noise sounds of previous releases and also continue to experimental with ambient and field recordings to create some very dark music and the production also sounds very dark and raw. In my opinion this is another great sounding recording from Aires & Rui P. Andrade and if you are a fan of harsh noise, you should check out this cassette. RECOMMENDED TRACK "Panico". 8 out of 10. OXiST are a band from Finland that plays a very dark form of doom/death metal with some black metal elements and this is a review of their 2015 album "One Eon" which was released by Death Shrine Offerings. A very dark, haunting and melodic sound starts off the album along wit h more heaviness and doom metal elements a few seconds later and when vocals are added into the music they are grim screams that also gives the music more of a black metal feeling and most of the tracks are very long and epic in length. The Solos and leads the band uses gives the album more of a dark, melodic, melancholic and depressive feeling and the deeper vocals have more of a darkened death metal feeling to them and one some of the tracks clean playing can be heard in certain sections of the recording and all of the musical instruments have a very powerful sound to them and as the album progresses some of the tracks also bring in a small amount of clean singing and all of the songs stick to either a slow, heavy and dark musical direction with no fast or mid paced parts ever utilized. OXiST plays a style of doom/death metal that is very dark and also adds a touch of black metal in the vocals, the production sounds very dark and heavy while the lyrics cover Death, Sorrow and Nihilism themes. In my opinion OXiST are a very great sounding dark doom/death metal band and if you are a fan of this musical genre, you should check out this album. RECOMMENDED TRACKS INCLUDE "Enshrine" and "No Life To Bother". 8 out of 10. 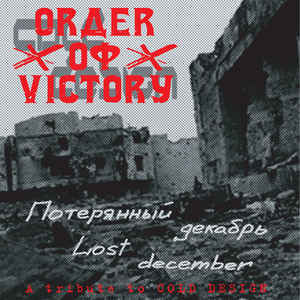 Order From Victory are a band from Russia that has had past material reviewed before in the zine and continues their mixture of martial and neo-classical on this recording and this is a review of their 2014 album "Lost December" which was released by Casus Belli Musica. Spoken word samples start off the album and after a minute militant drum beats and neo-classical synths along with some elements of dark ambient are added onto the recording which also gives the music more of an epic edge and when vocals are utilized they bring in more of a neo folk feeling to the musical sound on the recording. At times the vocals can get very aggressive and a good portion of the tracks are long and epic and there are also some tracks that incorporate acoustic guitars along with spoken word samples making a return in certain sections of the recording and as the album progresses violins can be heard in certain sections of the recording while a little track also brings in a brief use of electric guitars. 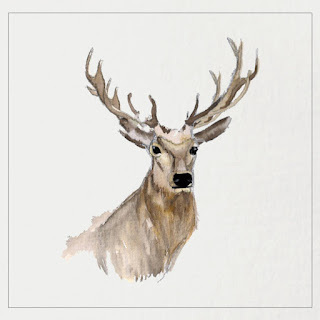 Order From Victory creates another album that continues the martial neo-folk sound of previous albums as well as giving each track and epic atmosphere, the production sounds very powerful while the lyrics are written in Russian and cover military themes. In my opinion this is another great sounding recording from Order Of Victory and if you are a fan of neo-folk and martial, you should check out this album. RECOMMENDED TRACKS INCLUDE "Lost December" and "Sorrow". 8 out of 10. 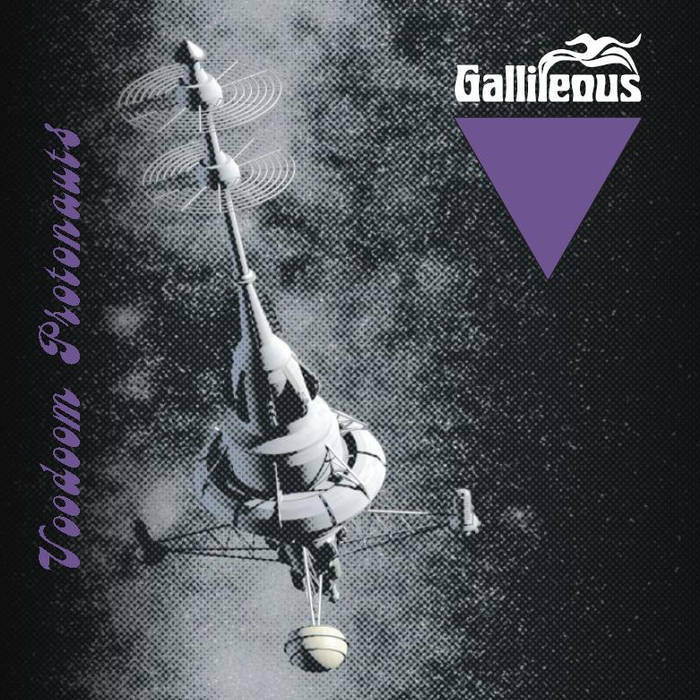 Gallileous are a band from Poland that started out playing funeral doom metal but have evolved into more of a stoner/doom/sludge metal direction over the years and this is a review of their 2014 album "Voodoom Protonauts" which was released by Epidemie Productions. Wind and nature sounds start off the album and a few seconds later heavy guitars find their way onto the recording and once bass guitars, psychedelic sounds and clean singing vocals are added onto the recording the music starts going for more of a stoner doom metal direction along with some elements of 70's rock. Most of the tracks are very long and epic in length and the organs also bring in elements of 60's rock at times an d the songs also bring in a good mixture of both clean and heavy parts and the only thing that keeps this music from sounding completely retro is the sludge influence which makes the album have more of an up to date feeling and when solos and leads are utilized they stick to more of a proto style of metal and the whole album sticks to a very slow musical direction from beginning to end. Gallileous stay away from the funeral doom metal sound of earlier recordings and plays more of a 70's style of doom metal and psychedelic rock while also mixing it in with the heaviness of sludge, the production sounds very old school yet professional at the same time while the lyrics cover paranormal, metaphysics, occult and mythology themes. In my opinion Gallileous are a very great sounding mixture of psychedelic rock, doom metal and sludge and and if you are a fan of those musical genres, you should check out this band. RECOMMENDED TRACKS INCLUDE "Voodoom Protonauts" and "Omen Of Death". 8 out of 10. 2.In September you had released a new album, how would you describe the musicla sound that is presented on the recording and also how does it differ from the ep you had released in 2012? 3.Your lyrics cover some rituals, ancient mythology, esoteric and science themes, can you tell us a little bit more about your interest in these topics? 4.What is the meaning and inspiration behind the name 'Plateau Sigma'? 5.What are some of the best show that the band has played over the years and also how would you describe your stage performance? -5) our stage performance is built to be simple and effective...no stage dress no make up or complexe game of lights or fireworks we just prefer to let the People be driven the music,and,of Course,we Always try to give our best in every situation and in every condition because being live and seeing How People react is Always a good to motivation to play and to improve! 7.The new album was released on Beyond Productions, how did you get in contact with this label and also how would you describe the support they have given you so far? 9.Are any of the band members also involved with any other musical project or band these days?